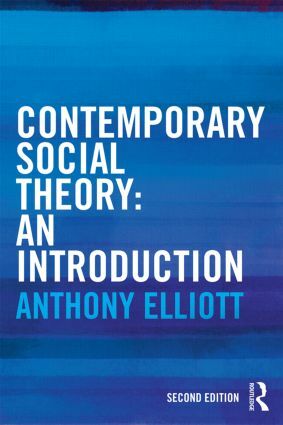 In this comprehensive, stylish and accessible introduction to contemporary social theory, Anthony Elliott examines the major social theoretical traditions. The first edition set new standards for introductory textbooks, such was the far-reaching sweep of social theorists discussed – including Theodor Adorno, Herbert Marcuse, Michel Foucault, Jacques Lacan, Jacques Derrida, Anthony Giddens, Pierre Bourdieu, Julia Kristeva, Jurgen Habermas, Judith Butler, Slavoj Zizek, Manuel Castells, Ulrich Beck, Zygmunt Bauman, Giorgio Agamben and Manuel De Landa. From the Frankfurt School to globalization, from feminism to the network society, this new edition has been fully revised and updated, taking into account the most recent developments in social theory. The second edition also contains a completely new chapter on classical social theory, allowing students to contextualise the modern debates. Like its predecessor, the second edition of Contemporary Social Theory combines stylish exposition with reflective social critique and original insights. This new edition will prove a superb textbook with which to navigate the twists and turns of contemporary social theory as taught in the disciplines of sociology, politics, history, cultural studies and many more. Anthony Elliott is Director of the Hawke Research Institute, where he is Research Professor of Sociology at the University of South Australia. His recent books include Reinvention (2012), The Routledge Companion to Social Theory (ed., 2010) and The Routledge Handbook of Identity Studies (ed., 2011).